Tonight's quiz revolves around Slash's new album. The album features collaborations with some really awesome superstars. In tonight's quiz I asked questions about the superstars on the cd. 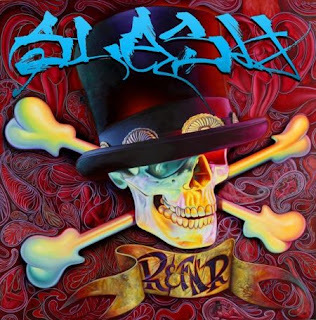 Q20 - Q20 - Who is the only member from Appetite for Destruction era Guns N' Roses lineup who is NOT featured on the new Slash album? - Axl Rose! So yeah...here's looking forward to many more quizzes!